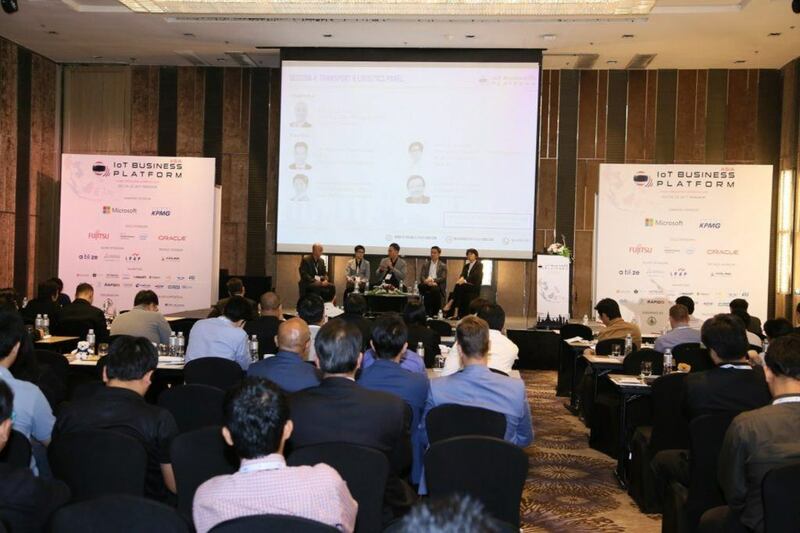 We had the honour and privilege to host 10 distinguished local enterprise leaders on day 1 of Asia IoT Business Platform - the 13th edition in Bangkok, Thailand - who were discussing IoT and digital transformation in the country. From telecommunications, industrial and manufacturing, to transport and logistics, we heard particularly interesting topics with regard to the opportunities as well as challenges regarding IoT adoption. One of the standout emphasis on IoT adoption in Thailand is starting small. IoT, as our panellists noted, cannot be applied wholesale without understanding fully what it can do to solve particular problems in particular organisations. Starting small is the easier and more sustainable way to utilise IoT in its best capacity - noted not only by our local panellists, but also international experts from KPN (Netherlands) and Telefonica (Spain) during the Industry Trends & Outlook panel. Another important aspect regarding IoT adoption, especially in Thailand, is going back to basics. Many local enterprise leaders, including Khun Thitipong, CEO of Thailand Post Distribution, and Khun Sirima, CIO of State Railway of Thailand, emphasised that while Thailand would like to apply IoT in a bigger and more widespread manner, the telecommunication infrastructure in Thailand does not see higher technology and IoT adoption rates due to stability and coverage issues. To solve this issue, enterprises must work together with the local telecommunications companies - TRUE, DTAC, AIS and others - to give feedback on network issues and accelerate the adoption progress. Despite the challenges and difficulties, it’s a ‘go’ for Thailand towards a future of digital transformation. From the Senior Vice President Enterprise Product & Solution of AIS to the Head of Infrastructure Services & Security Management at INSEE Digital Company - Siam City Cement, all our local speakers have a very positive attitude on not only the potentials of IoT in Thailand, but how the country’s enterprises are working towards achieving that digital future and Thailand 4.0. Companies like Kerry Logistics, Nok Air and Charoen Pokphand have already implemented several IoT projects at various scales, while both private and state-owned enterprises like Thailand Post and State Railway of Thailand are looking for strategic partners to be involved in digital transformation projects. This is a crucial turning point in digital transformation and IoT adoption in the country that every stakeholder should keep an (i)eye out for. If you would like the full 2-day conference report, leave your contact details (email & contact number) in the comments or email me at zaidani@industry-platform.com. i would like to get full 2days report. could you send me please.